1. 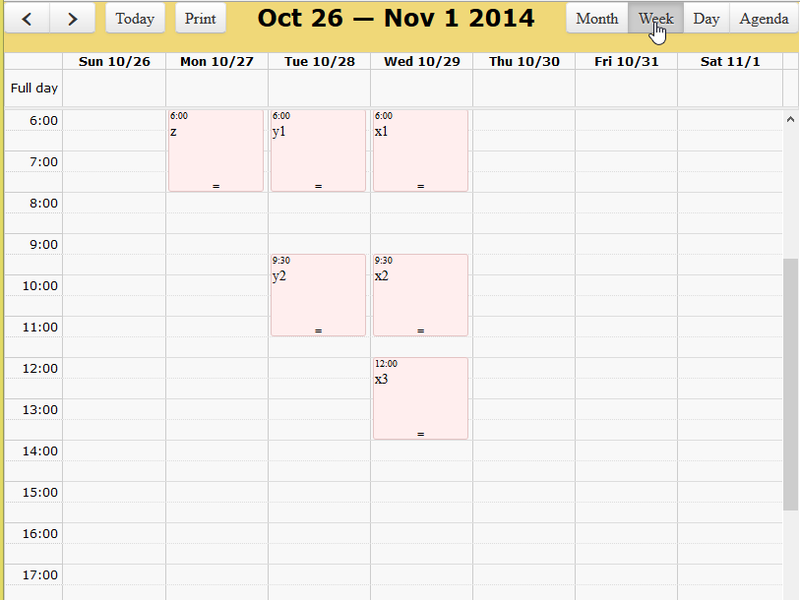 The table that will be used for the calendar implementation is “events”. 2. 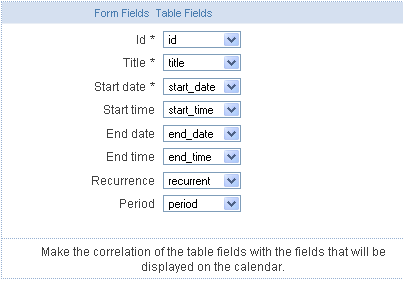 Select the table fields that will be used in the application. Items with “*” are required to create the application. The other fields are only used for information to the agenda. 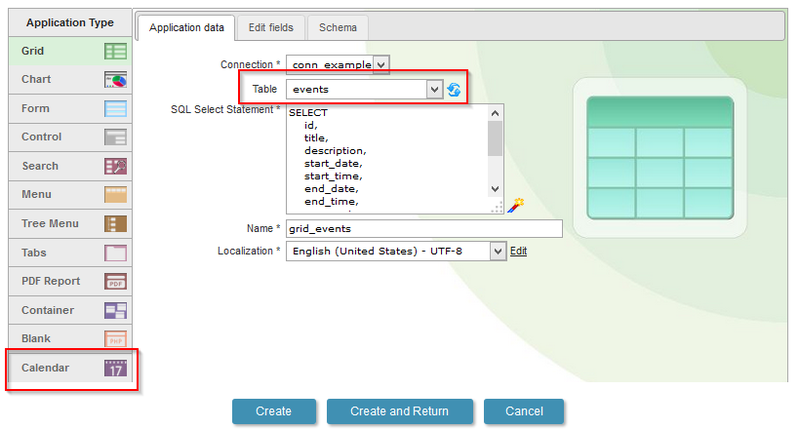 Note: If you have a field of type datetime in the database, you can list the options date and time using the same datetime field from the database. 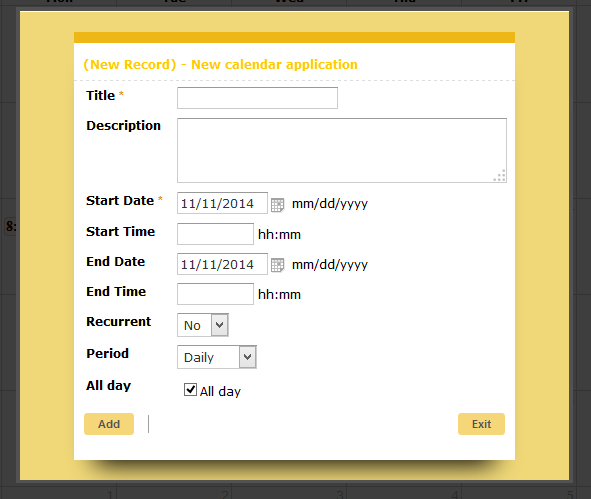 The application will take the two values and will concatenate them before saving in the database. 3. 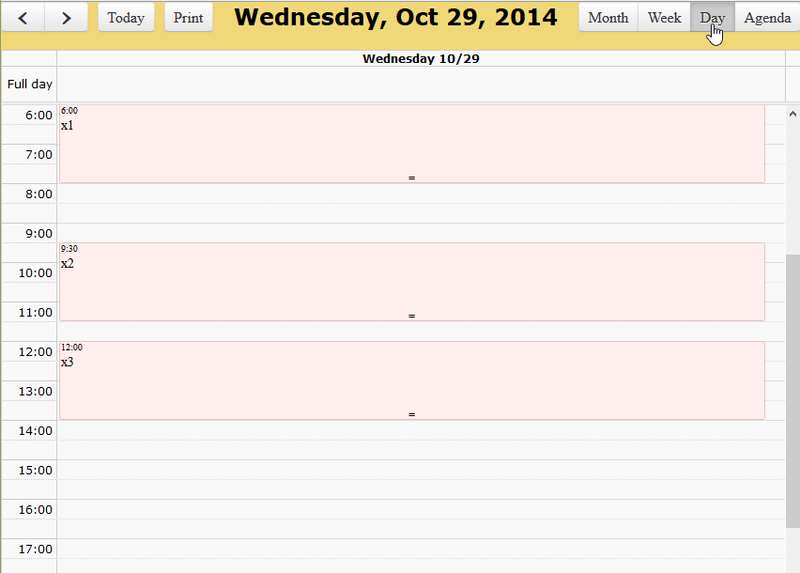 After compiling your new calendar application, you will see four types of display: month, week, day and agenda. 4. 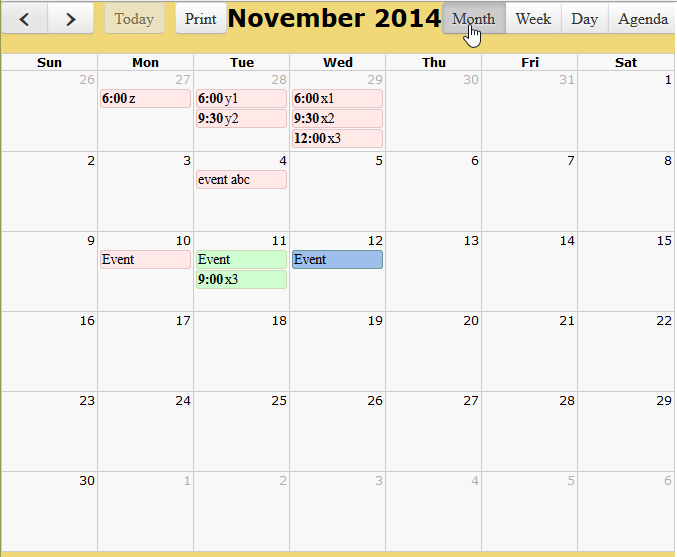 To add a record, click the area corresponding to the event date and time desired. Will open a simple form, either through inclusion in modal.